A collective bargaining agreement between the district and the Madras Education Association teachers' union was approved Sept. 24 by the School District 509-J Board of Directors at their monthly meeting. The MEA ratified the agreement last week. The three-year agreement includes a 2 percent salary increase, effective Aug. 28 of this year, and a 2 percent increase for the 2019-20 school year. The teachers' insurance cap was increased to $1,275 for this year, and $1,305 for 2019-20. Because of the difficulty in finding substitute teachers, the agreement added $50 per day pay for teachers who take up to one-half of an absent teacher's class for two hours or longer when a sub is unavailable, and for a specialist taking a class for two hours or longer when a sub can't be found. The agreement includes a limited reopener on the third year to determine salary, insurance cap and one language issue per party. Jesse Holland, with Energy Trust of Oregon, reported on an engineering study the energy trust is paying for on the failing HVAC system at Jefferson County Middle School. The school can't get needed replacement parts and the system needs to be modernized, he said. Holland said a new "Delta" system would save 55 percent of the cost of an HVAC modernizing project. The engineering study should be completed by the first week in October. Maintenance Supervisor Tim Whitaker said JCMS has a double boiler system. "Now, we have no temperature control for individual rooms – just by zone." 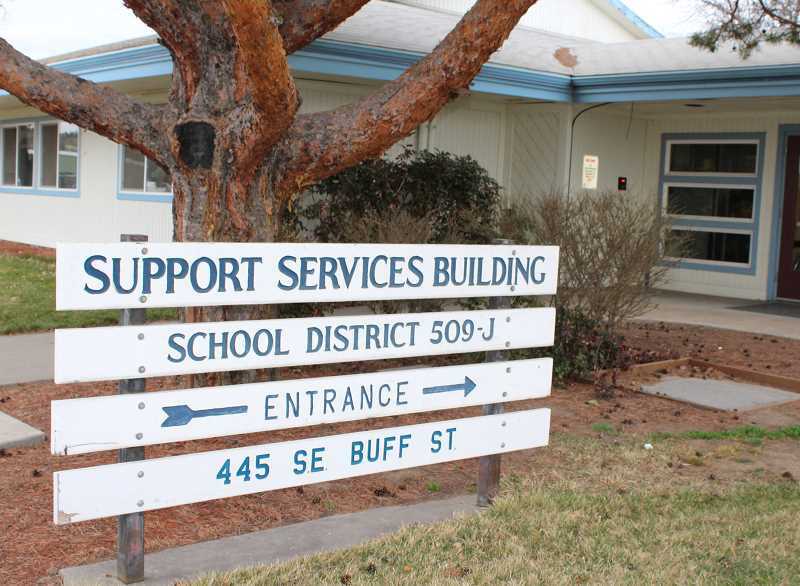 Brenda Bartlett reported on a financial audit of the district, noting there were no difficulties, misstatements, or disagreements with management. The only deficiency she found was in student body accounting at Madras High School. "I didn't see an improvement from last year. We recommend you don't use outside bookkeeping, but do it internally," Bartlett said. Operations Manager Randy Bryant noted the district is having seismic assessments done at Metolius and Madras elementaries to check for earthquake safety. He said grants of $2.5 million per eligible building are available to address problems such as falling hazards, walls that pull away from roofs, etc. Superintendent Ken Parshall said bipartisan Oregon legislators are visiting Central Oregon and other areas to gather input to create a plan to fund education for sustainable improvements and graduation rates. "Their priorities are early learning to get kids ready for kindergarten, attendance, and having districts work with early learning partners to be sure kids get the best start in kindergarten," he said. Concerning a piece of property the district owns on Bean Drive, Parshall said the city of Madras has approved a partition of the property initiated by Living Hope Christian Center. When the property was originally purchased, it was agreed that portion could be sold to the church eventually. Under the agreement, "If the property is divided, we would sell the property to the church for $1," Parshall said. A Native Language Program Grant of $324,444 from the U.S. Department of Education was accepted, along with a Response to Intervention grant of $4,589 from the Oregon Department of Education, to implement intervention systems. The next board meeting will be Oct. 8, at 7 p.m., at Warm Springs K-8 Academy.